Those of you who knew me in my bakery days knew that the macarons were one of my signature specialties, but you didn’t think I just made them for you did you? Au contrair! My love affair with the macaron started long before, when I wanted to try one without driving an hour to Santa Barbara. So I made one, loved the process, realized I was pretty good at making them, and never actually stopped. Instead, I kept playing, experimenting, and creating. Then we moved away from California and I realized it had been three months since I’d made a batch. Sacrilege! Well, that and I found myself with the urgent need to make macarons thanks to a stop at local-ish coffee shop Caffe Amouri in Vienna. We discovered this little gem on one of several trips to find living room furniture that would fit up our stairs. Baby girl was asleep in the car when we got there so I told the Godfather to surprise me with a warm drink and he came out with a Pumpkin Chai Latte. It was love at first sip and I knew I had to recreate it in macaron form! So the next day, I whipped up a batch, feeling especially rebellious. Why you ask? Well for starters, it was during naptime and there were at least five more productive things I could have been doing. Second, I didn’t bother aging my egg whites or even bringing them to room temperature. Third, I didn’t sift together my almond meal and powdered sugar. And finally, I did ALL THIS with a new oven – so new personality, new hot spots, baking temps, everything. VIVE LA RESISTANCE! Take that conventional macaron-making rules, every day is Bastille Day in the Godmother’s kitchen! I probably won’t do it again though, because the lack of perfection is bugging me even though these would sell at Payard for $2.75 each and no one would question it. Ugh. 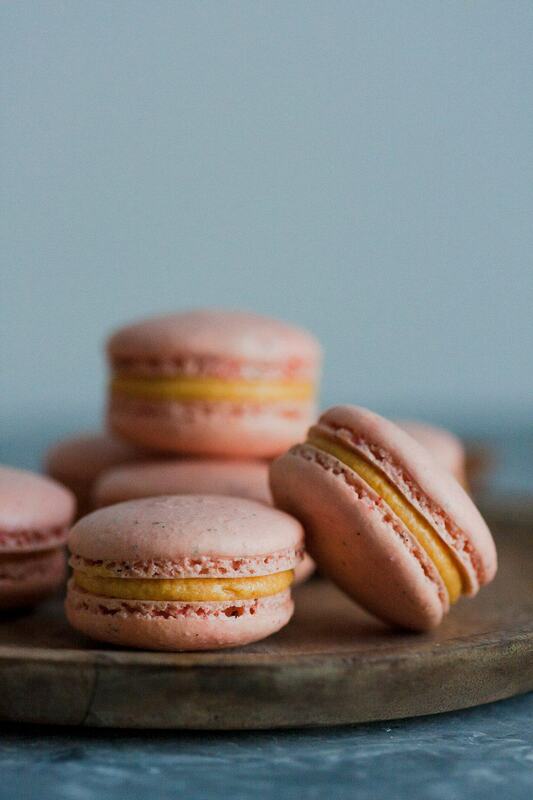 Don’t worry about perfection when making macarons for yourself though. Relax, have fun, enjoy the process and if they crack or the feet don’t rise, don’t worry about it. They’ll still taste good. A pumpkin chai tea latte I fell i looooooooove with in macaron form! Sift your almond meal and powdered sugar together in a bowl. Stir in your chai tea spices. Pour 55 g of egg whites on top, do not stir. Set aside. Put the other 55 g of egg whites in the clean and dry bowl of your stand mixer, fitted with the whisk attachment. Put the granulated sugar and water into a small saucepan with a candy thermometer and set over medium heat, gently swirling the pan occasionally to ensure all the sugar melts. When the thermometer reaches 220 F, start your stand mixer on medium/low speed. You just want the egg whites to get frothy like a bubble bath. When the sugar mixture reaches 234 F (soft ball stage), remove from the heat immediately. Bring your mixer to high speed, and drizzle in the sugar syrup, being careful not to touch the sides of the bowl. When the egg white and sugar mixture has reached a consistency where a "puff" will stay on the whisk when lifted, stop. Add your food coloring if desired, then dump in the contents of your almond meal/sugar/egg white bowl. 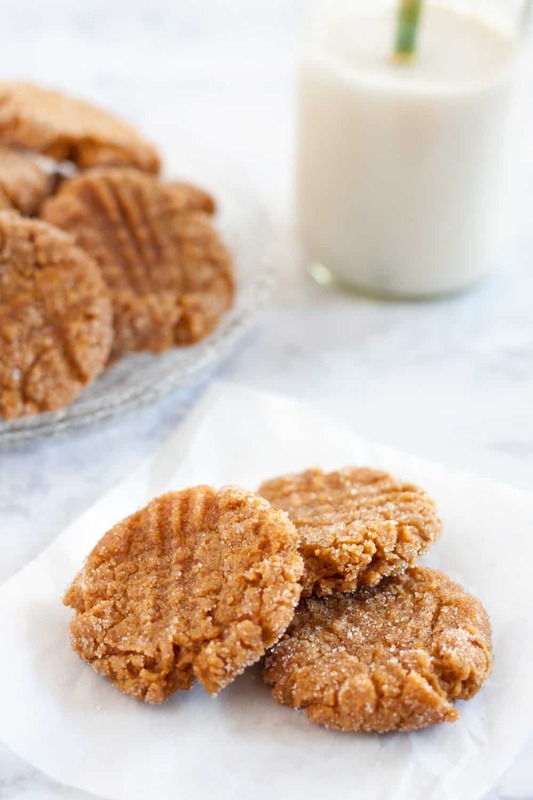 Fold the almond meal mixture into the egg whites moving your spatula from the center of the bowl out towards the edges until the almond meal has been incorporated and the shell mixture is the consistency of slow moving lava - about 50 strokes. Fit your piping bag with a round frosting tip** and fill with your macaron batter. Pipe the batter into even rounds on your prepared baking sheets, rap 2-3 times on the counter to remove air bubbles, and set aside. 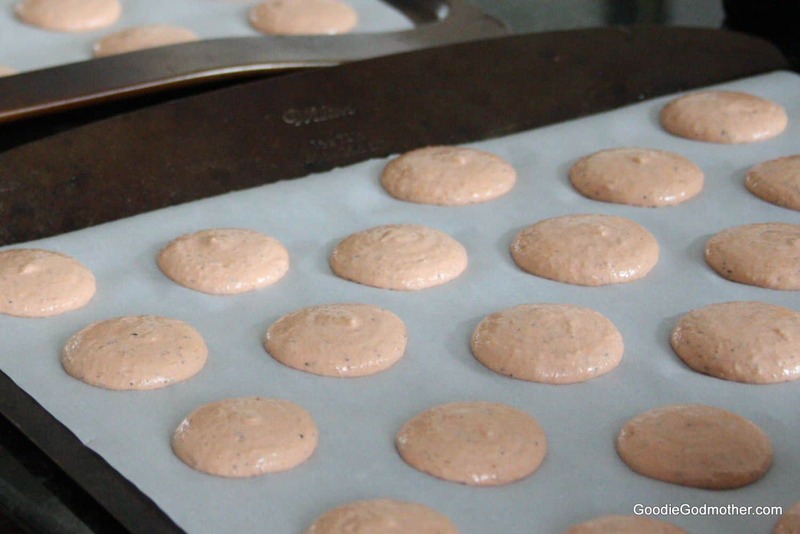 Bake macaron shells one sheet at a time on the middle rack for 14-16 minutes, until shells lift easily from the baking sheet. Allow to rest 10 minutes on the sheet before transferring to a wire rack to cool completely. Pair equally sized shells together for filling. Wash and dry your mixer bowl. Fit the mixer with the paddle attachment. Beat together the butter and pumpkin puree at medium speed until combined. Working in batches, add the powdered sugar. The final filling consistency should be somewhat firm but still easy to pipe. Place the filling into another piping bag filled with a round tip, or use my preferred method, a ziploc bag with the corner snipped off, and pipe filling onto one half of each macaron. Don't overfill. 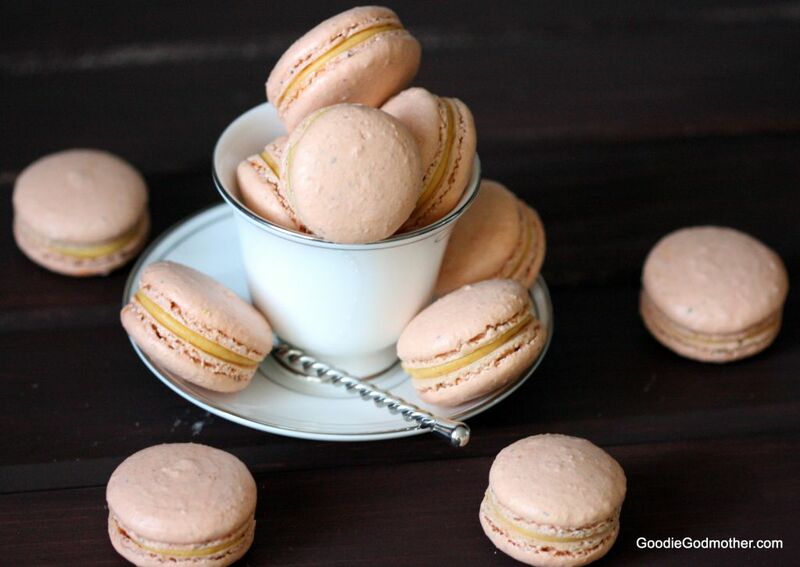 Allow the macarons to rest for a few hours, or overnight, in the refrigerator to allow the flavors to blend. 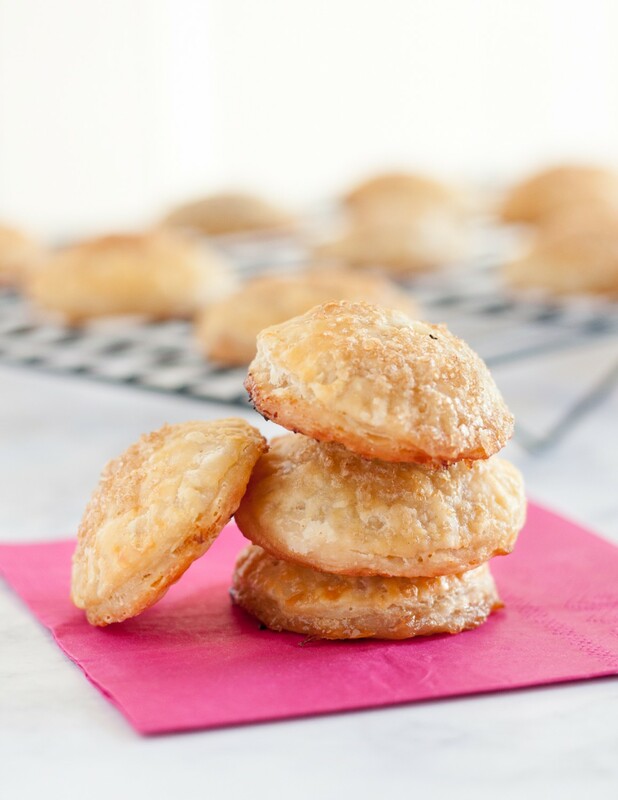 Remove from the refrigerator a few minutes before eating to allow the filling to soften. 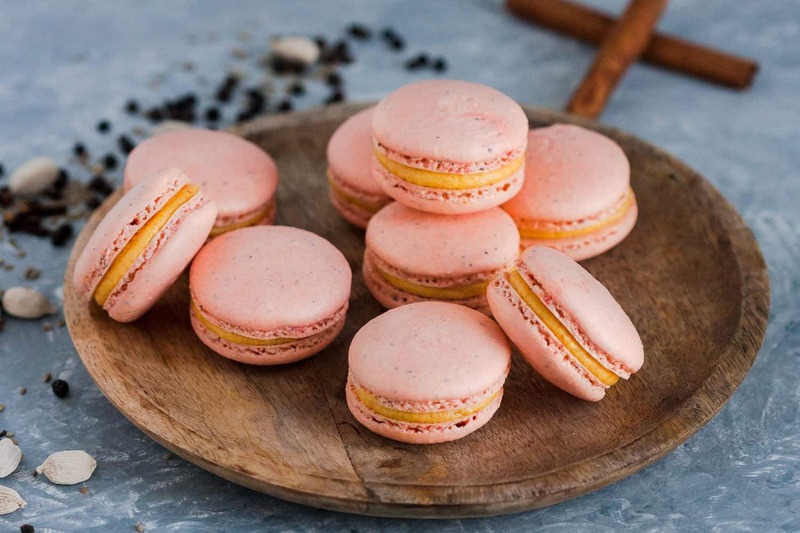 Macarons will keep up to one week in the refrigerator. *I've used both and don't see a major difference. The feet will be slightly more ruffled on a silicone baking mat, and, in my oven, it takes slightly longer to bake. 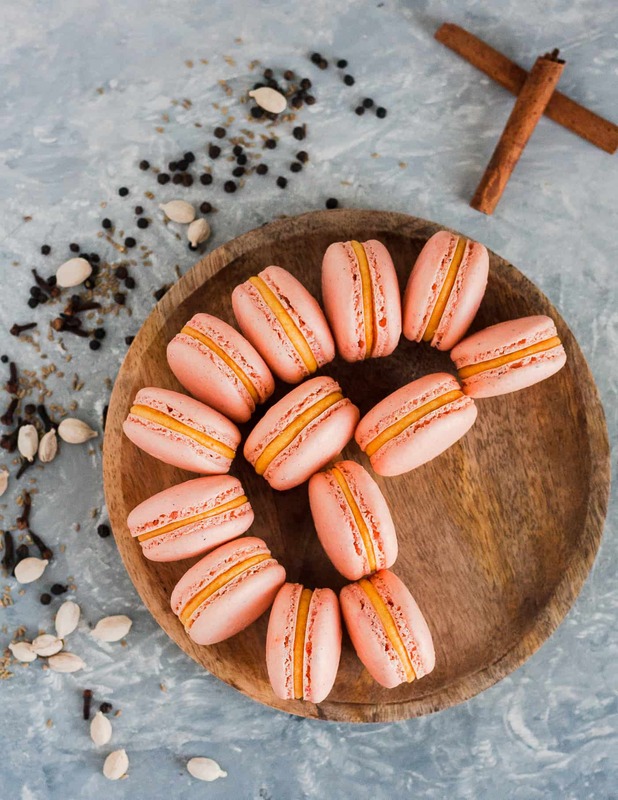 **I have a dedicated macaron piping bag from Ateco that I like to use (get your own here), and I use a Wilton #12 round tip which you can easily find at any craft/hobby store. ***Baking temperatures will vary depending on your oven. 300 F is my default starting point, but having made these in four different ovens, preferred baking temperatures have ranged from 290 to 310 F. Get to know your oven to find out at what temperature it will allow you to bake the macarons long enough to cook through, but not long enough to brown the outside. Don’t be afraid! They’re really not as frightening as you might think, and I have a handy tutorial up HERE to guide you through the process. Many readers have e-mailed me sharing their success, so I know you can do it! Pinning this one to my macarons board! 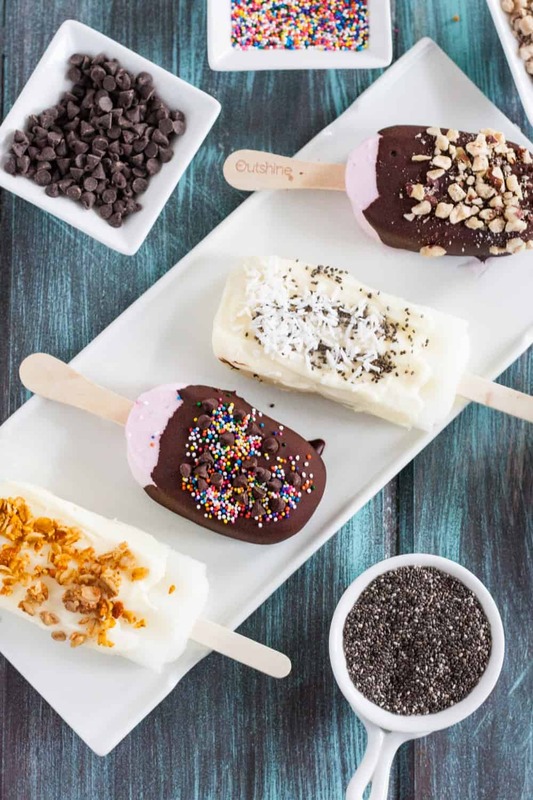 Thank you for sharing, I love these flavors! These macarons just look perfect! 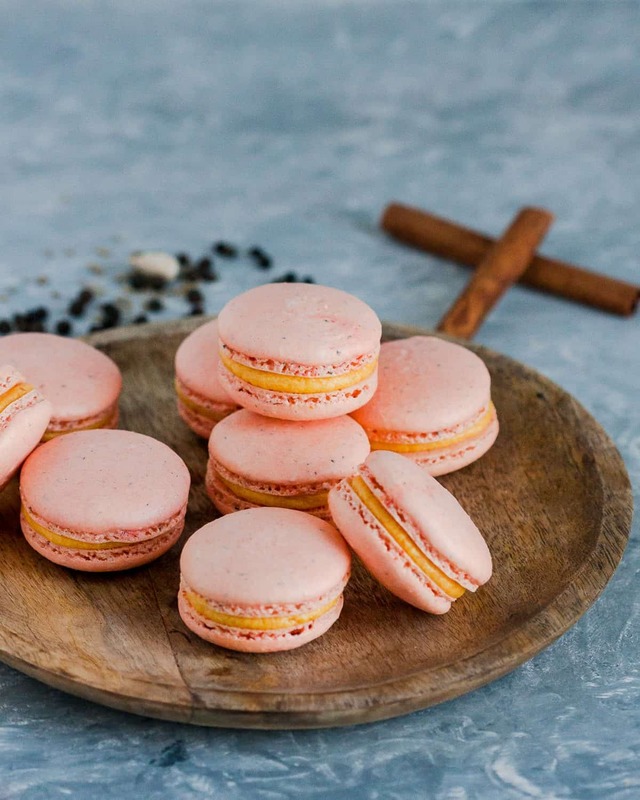 I never have made a pumpkin flavoured macaron before.. and after seeing this post am definitely inspired to!